1. It helps to start off with the basics (Ollantaytambo is a little less than two hours in car from Cusco; Aguas Calientes is a little less than two hours by train from Ollantaytambo). Click here for a map of the area. In summary: There is no road to Machu Picchu, you must take the train from Ollantaytambo or else the Inca Trail, or else through the “Back Door” i.e. St. Theresa and the Hydroelectric station. (Which is an awesome trip by the way, Click here for details). 2. See www.PeruRail.com to get an idea of train timetables and costs. Note they call Ollantaytambo “Sacred Valley”. We recommend taking the train from Ollanta and not all the way from Cusco, as it is more expensive and slower. The best way is to take a taxi from Cusco to Ollantaytambo (1.75 hours, beautiful drive, we can organize this for you) then a train from Ollantaytambo train station to Aguas Calientes. 3. 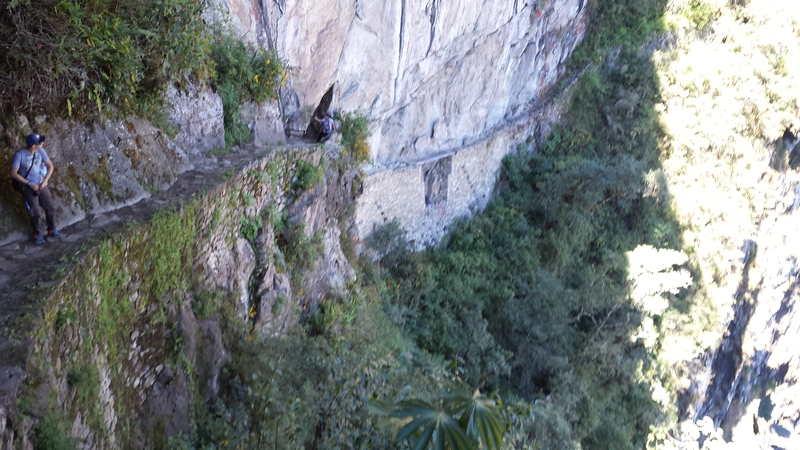 Huayna Picchu tickets are getting more difficult every year to obtain unless done several months in advance. 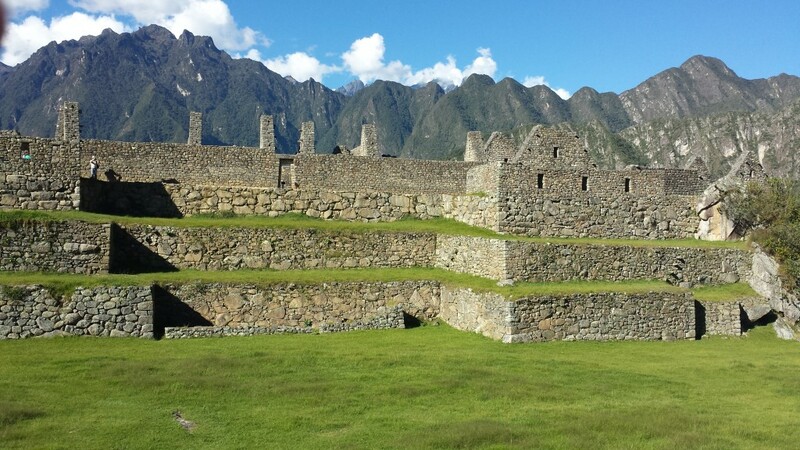 (See our information under the “Machu Picchu” button on the home page.) 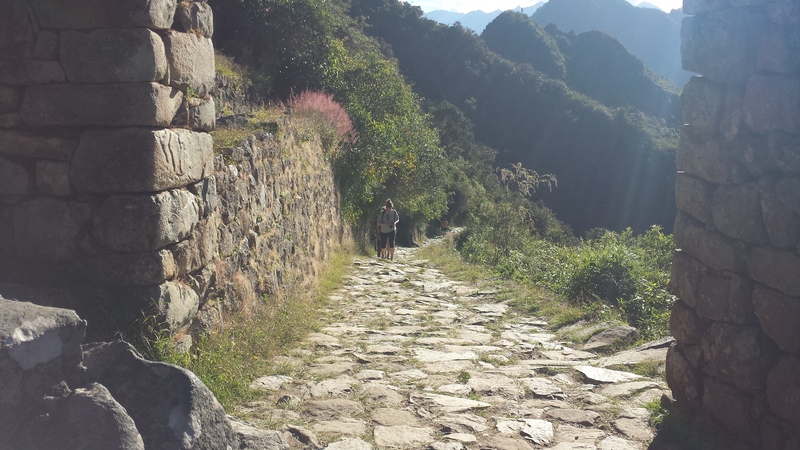 It is an amazing hike, but the park of Machu Picchu itself is equally amazing, as is the hike to the Inca Bridge, the Sungate, and Machu Picchu mountain. We recommend trying for Huayna Picchu but being flexible and not stressing too much if you aren’t able to get the ticket. 4. Some people have heard bad things about Aguas Calientes, that it is “touristy” etc. We personally think its adorable, and as one of the few towns in Peru where there is no traffic or honking horns it is actually quite beautiful and peaceful. We always recommend people take a later (they leave as late as 9.30pm) train the day of your Machu Picchu visit, and have a great dinner. “Indio Feliz” is a simply outstanding restaurant (any local can point out where it is). Why not top off the day after you came from so far away and enjoy a meal instead of rushing off and trying to catch a 6pm train. 5. 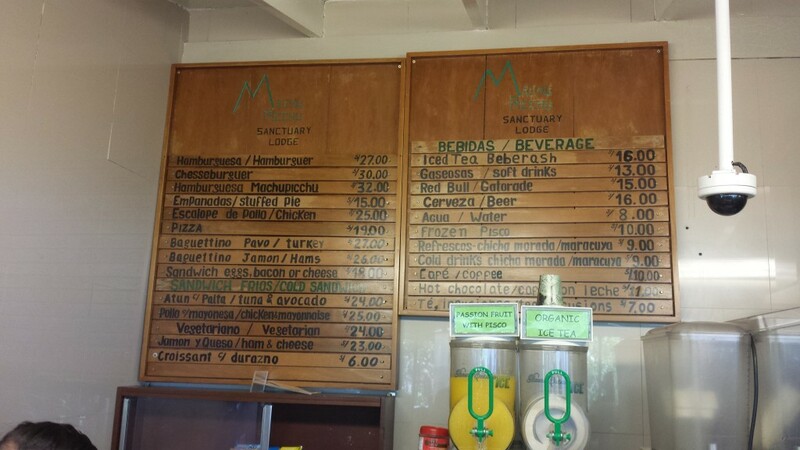 Speaking of food, its not as expensive in Aguas Calientes as rumored; its a bit more but not too bad. buy some yogurt, chocolates, nuts, crackers and fruit and bring it in your pack up to the site. Eating inside the park is technically not allowed but they are more trying to prevent a full blown picnic; no one will throw you out for discreetely eating a banana (taking out all garbage of course). There is a small snack stand up at Machu Picchu itself, at the entrance where the bathrooms are. Yes, it is expensive, but there are Cokes, burgers, fries, fruit, etc in case you forgot to bring anything. You WILL get hungry and thirsty while visiting Machu Picchu so come prepared. Here is a photo of the actual menu ! 6. Many people wish to ‘avoid the crowds’ and so they go early. That is a pretty busy time of day also as most people have the same idea. It is still worth it, though, as the morning light is beautiful. Actual sunrise can be hit or miss due to clouds, morning mist, and high surrounding mountains. The park opens at 6am and closes at 5pm. You can hike up instead of taking the shuttle bus (which costs $10 each way, tickets bought right in center of town at bus station, they run constantly no reservation needed 5.30am to 5.3opm). We dont recommend hiking up, it is steep, relentless, and hot. It takes about 2 hours. If you want to hike, do it on the way down. But be careful, those Inca steps are no joke. 7. Aguas Calientes is a pretty humid and usually warm place. Hotels tend to be way overpriced, but remember that everything must come in via train – there are no roads to here. So try to be patient with that, as well as the overall dampness which of course is not the fault of the hotel operators. Also, the wi fi is pretty slow especially at night, as it is still dial-up only for the most part. 8. Some other hot tips: Stay until closing ! It is beautiful that time of day and very quiet and less crowded. 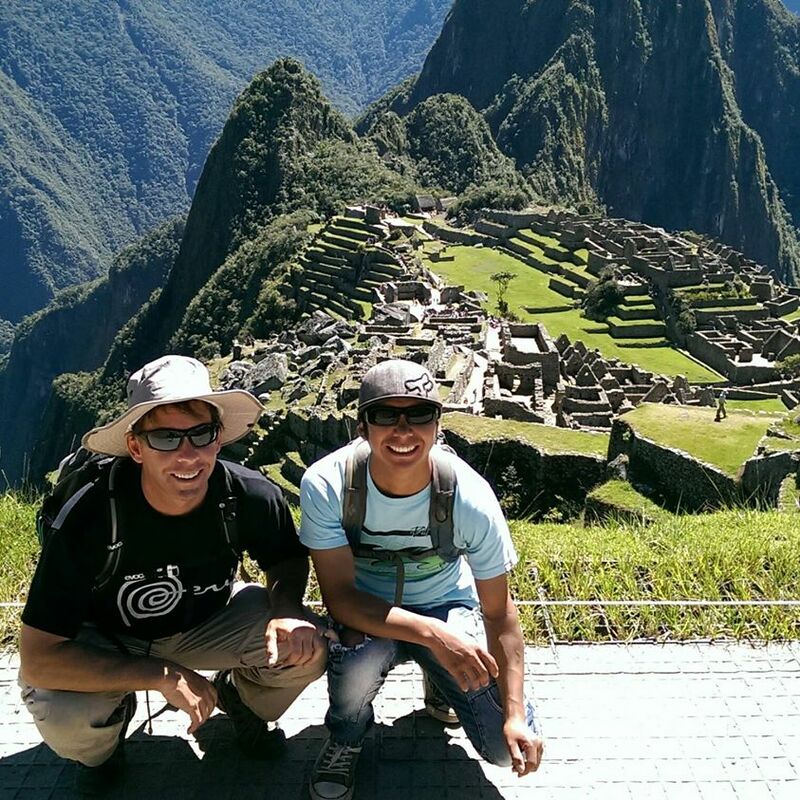 Here is a general outline of how we recommend you visit Machu Picchu: First, get a goods night sleep ! If you got to bed before 9pm, great go ahead and take one of the first trains up. But if not, there is no reason to be to Machu Picchu by 6am in our opinion (unless you have the physical and mental stamina to stay until 5pm closing, in which case we highly recommend you start at 6am). Get a good breakfast and take a bus up around 8am. Second, when you arrive to the parking lot and entrance to Machu Picchu, use the bathroom if at all possible, so you won’t have to come back out right away. Third, when you first enter Machu PIcchu, it is beautiful. Enjoy it ! We’re all tourists. So, take some pictures, find a small corner ( a half a square foot, ha ha) of your own space and take it all in. Breathe in deep, really you came a long way to get here. It won’t disappoint you. Fourth, we say head straight for the Inca Bridge. It is up, and to your left after you enter. It is signed, and for the first section shares the same path as that going to Machu Picchu mountain. Simply ask anyone if you are not sure, or watch for the signs. The Inca Bridge is a stunning piece of architecture built by the Incas. Check it out. Be careful ! There are few guardrails and the fall is no joke. Stay away from other crowds, especially anyone who seems to really be in a hurry. You will have to sign in. The hike is 1 hour roundtrip but super-duper worth it. Fifth, come back and wander around the “main” plaza for a few hours. If you are climbing Machu Picchu Mountain, you will instead do that instead of visiting the main sector of Machu Picchu. 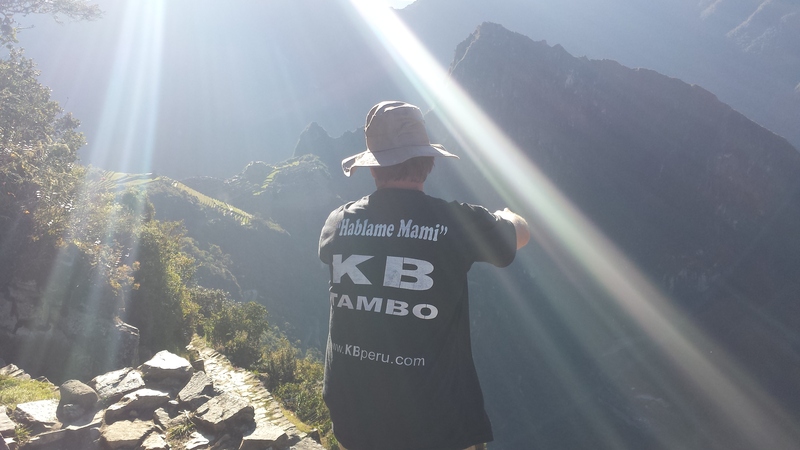 The cutoff time for the Machu Picchu Mountain hike is 11am to sign in at the booth. They are not flexible so don’t cut it to the last minute. It is a steep hike up. bring lots of water. For those not climbing MP Mtn, go to the main sector. There is not enough space hear to describe this section or its uses, etc but there is no correct route, so just go where the arrows and crowds take you. take you time. Marvel at the rock work. It is one of a kind. Don’t mind the crowds of people, it is what it is. Enjoy it instead. And there are plenty of open and private spaces on the edges, keep walking around. Eat your snack lunch at some point. Sixth, about 1.30 or 2pm, head up towards the Sun Gate. It is well signed (“Inti Punku”) or ask any park attendant. 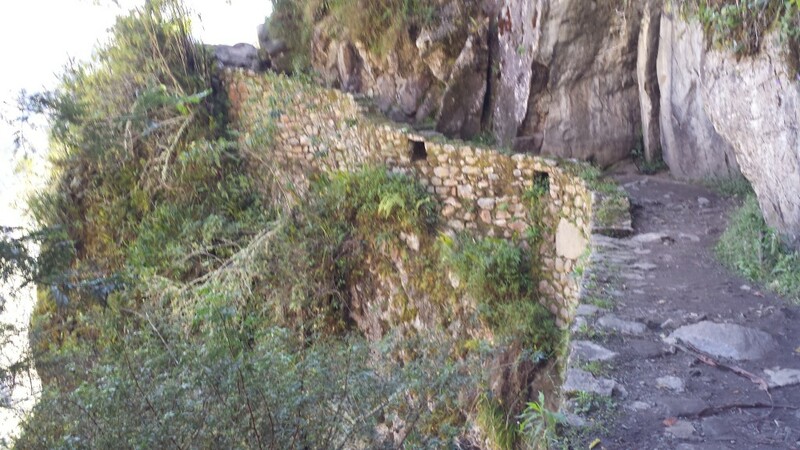 It is about a 1.5 hour hike to the top along a beautiful section of what is essentially the Inca Trail itself. You will arrive at Inti Punku and have great views of the site below, the same views that those who hiked the 4 day Inca Trail got their first glimpse at Machu Picchu. I like to stay here until they ask me to head down. Which I politely do, as late as i can. Take your time going down. Enjoy the view, the air, the sounds, it really is quite magical.